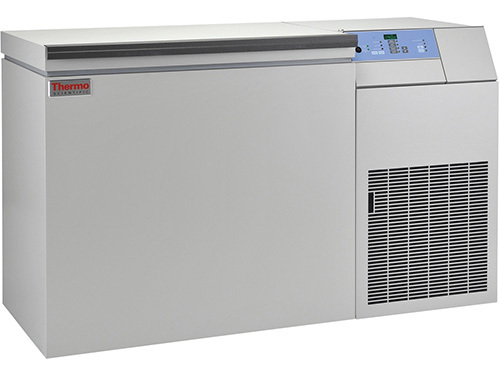 Our Thermo Scientific cryogenic freezers maintain a uniform temperatures of -140°C, safely below the -130°C glass transition temperature of water. Cell viability is improved because biologically relevant, thermally driven reactions are not known to occur. 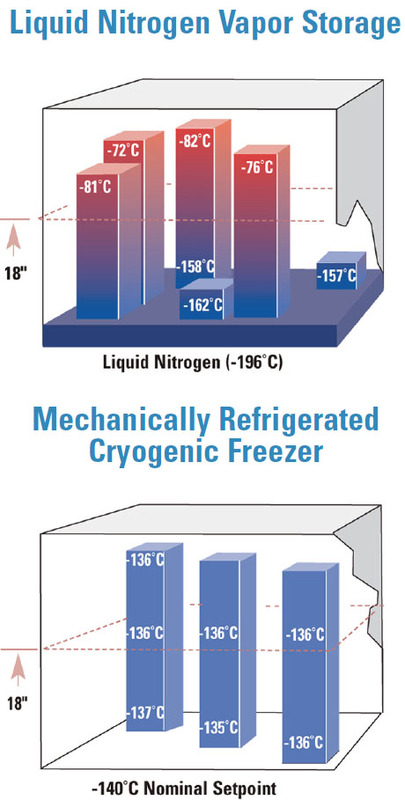 In the images above you will see a comparison of temperature distribution in a liquid nitrogen freezer (vapor phase) and mechanically refrigerated cryogenic freezer (i.e. our freezers). The graph represents temperatures at relative locations within the chamber. 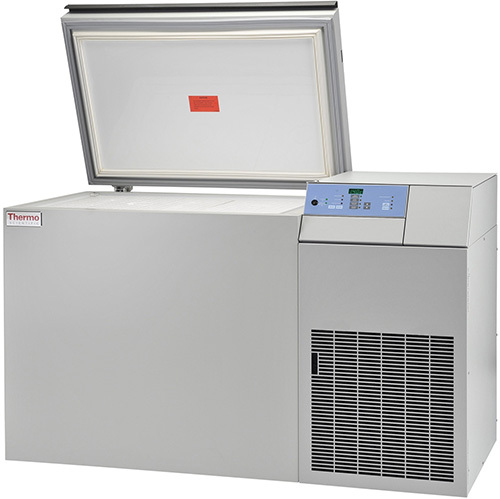 Data suggests 100% of the storage space maintains uniform storage temperatures safely below -130°C, while temperature in LN2 vapor system is dependent on storage location. Part Number 6383-5. Chart recorders maintain accurate, physical temperature on chart paper. Includes one box of 50 charts. Free-Standing unit.